I'm not going to lie, I have a love/hate relationship with getting these kinds of e-mails in my Inbox. I absolutely love a good sale (who doesn't?) but my wallet hates me after because I end up wanting like 5 things and my thought process is "but it's on super sale so I can't NOT get it, right?" 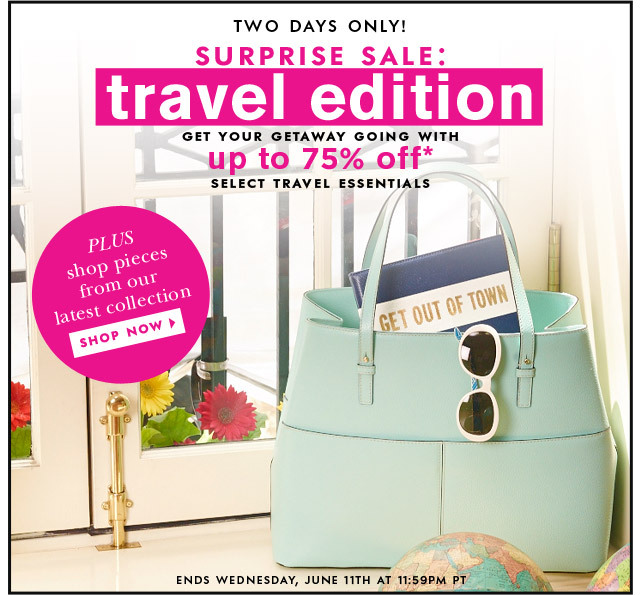 So when this popped up in my Inbox yesterday morning of course I had to click on it and see what goodies Kate Spade had on sale! I decided to bring back Wish List Wednesday since it is my birthday month! Below are a few of my favorite items from the sale, what items are you getting or are totally lusting after? Shop quickly though, this stuff is going FAST! How cute is this versatile pouch? It can be used as a makeup bag or a clutch and the print on the inside is SO fun! Oh and did I mention it's only $29 during the sale?!? 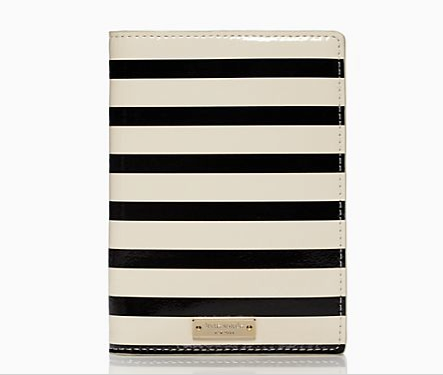 I love anything with stripes so of course I need this passport holder! Speaking of passports... I should probably get mine renewed soon since it expires this year! Oh and this is also on $29! Hi, my name is Pamela and I have a problem. An obsession with sunglasses problem! I went out for a blogger date with Kerri from Chesire Kat Blog on Monday (did I mention she is adorable and SO much fun??) and she had the CUTEST sunglasses so she totally put me in the "I need new sunglasses" mode ;) These are on sale for $69 but going fast! They sold out in the tortoise and blue before I could even write this post! Love this polka dot insulated tumbler! I drink a LOT of water throughout the day so big, insulated cups are a must for me! Definitely obsessed with how cute this is and it's only $18. I spend more than that on my Tervis Tumblers! Did anyone manage to score anything great during the sale? If not head on over there before everything is gone! Stop, I should not know about this sale. It is too tempting lol. That insulated cup is the cutest thing ever!! I love the pouch and sunglasses also. That passport holder, I'm in love. Whhhhyyyy did I put myself on a no buy this month?! 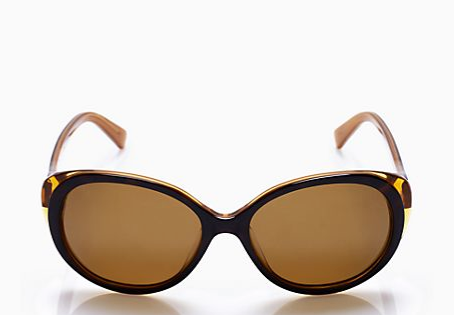 Love those Kate Spade sunnies!! I'm totally with you - love seeing all the pretty stuff...hate knowing there is a time limit to when I can buy said stuff on the cheap!!! Are you going to get anything? Off to check out this fabulous sale! Thanks for the heads up! Oh No!! kate spade is my favorite... I'm also tryin gnot to splurge too much as of recent, but I can't resisit a KS sale!! Awesome sale!! Love those sunnies!! I love surprise sales!! Those sunnies and that striped ipad holder is amazing! I still need to get on the website to check out the sale! I doubt much is left, but it's always fun to peruse. I love your picks! I'm totally with you on having the love/hate relationship with these sales! My wallet hates me! Totally lusting after that passport cover as well! Our wallets hate us right now too! How spectacular is this sale! I'll take one of everything, please! Such a great sale! WIsh I could have scooped up those sunnies! gah i want that mint bag but its sold out, boo!! Oh no, these sales get my every single time!! That passport holder is too cute! Ah thanks for the info! Seriously need that tumbler! I know what you mean, I love/hate getting these in my email-no self control! Ohhhhhh I love all your picks especially that polka dot tumbler. I am such a sucker for all things polka dots! I wish I had known about this sooner! 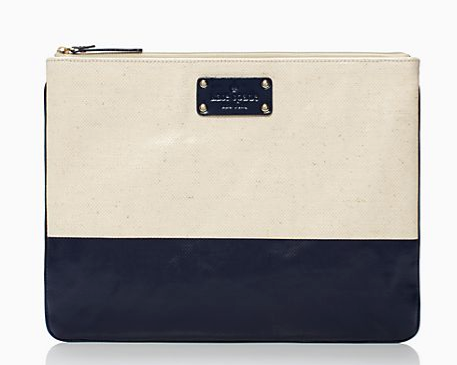 I am in love with Kate Spade and I have been dying to purchase something from this brand for ages...If I had known sooner I wouldn't have spent my paycheck already! Definitely signing up so I can get the notifications from now on.